Cristiano Ronaldo is one of the most complete footballers on the planet; the current Ballon d’Or winner has proven himself everywhere he has played as one the premier players in the game. He has won awards and has set the bar at a level that perhaps won’t be reached by anybody for some time to come or maybe never. The most famous number 7 in the world has set many records, but these are the most incredible seven records that he has set in world football. 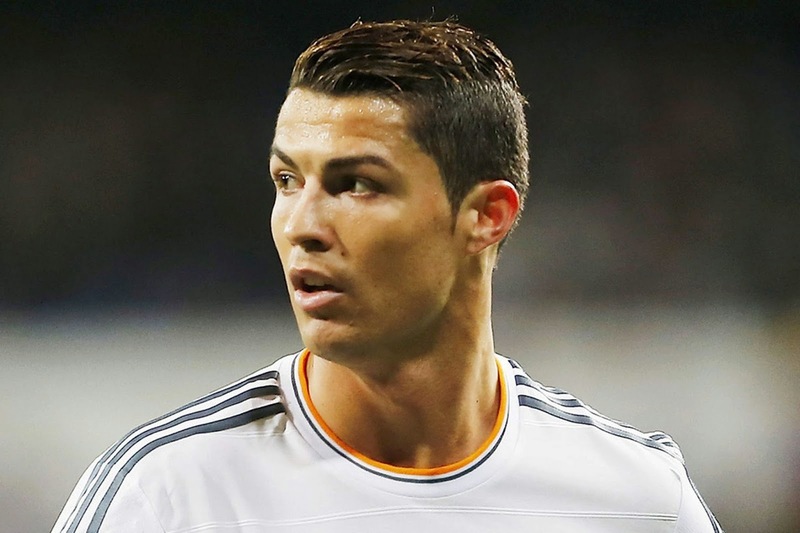 Cristiano has scored 7 hat tricks in one single football season (2011-12), which is a personal record for him. Two incredible things about that record, first is that he did it seven times. The number seven seems to have a special meaning in everything he does. The other is that what he did in one season, some quality strikers don’t do in their careers. He has been an incredible goal scoring machine and he is not even a striker, which makes this achievement even more incredible. Cristiano is the only player to score in 6 consecutive El Clasico games that he has played on. Not even Messi has done that, but that shouldn’t be a surprise. Cristiano elevates his game when the lights are on, and no game is bigger during the La Liga season or Copa del Rey than a clasico. The biggest games, bring out the best in the greatest player. Cristiano is Portugal’s all-time leading scorer with 50 goals in 114 appearances. He has surpassed the Portuguese legend Eusebio that is an incredible achievement, and with so many more years of playing for his country ahead of him, he will most likely set a number that nobody else in the near future will even come close to surpass. He is one of those special players that Portugal is blessed to have. 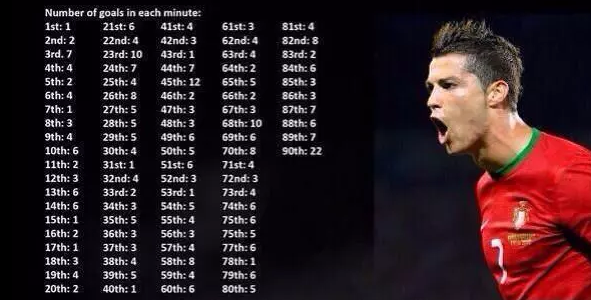 Cristiano Ronaldo has scored in every single minute of a football game. The 90th minute seems to be his favorite, since he has scored 22 goals in that minute of the game. Clutch scoring when the game is on the line. Cristiano is the only player to have played for Sporting CP U16, U17, U18, B team and first team all in one season. If you think about the fact that Sporting CP has also produced Nani, Quaresma and Figo, the fact that Cristiano is the only one to have achieved it, makes this record even more impressive. He is without a doubt their biggest talent to come out of their academy program. Cristiano has won three European Golden Shoe awards, being the only player to have won it in two different leagues. He is an incredible player, and regardless of which league he plays in he will always be an impact player, having said that his move to La Liga has improved his production.